Are you one of those trekkers who love to frequent the less trodden path? 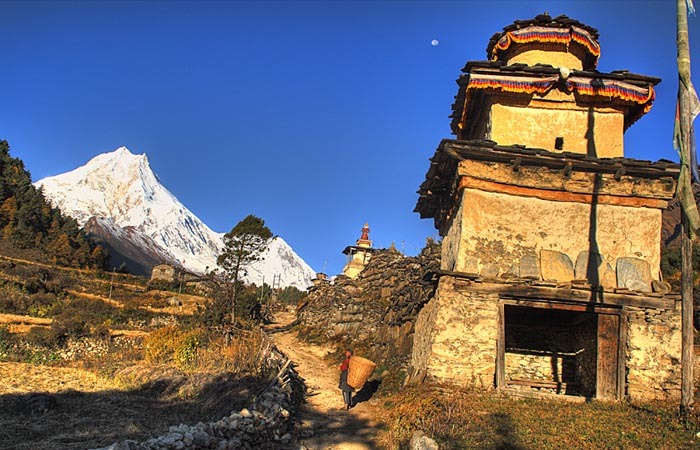 If yes, then Manaslu trekking is definitely the one for you. 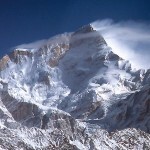 This trekking destination has been recently opened to the world. This is one of the controlled trekking routes in Nepal, as it lies in close proximity to the Chinese border. 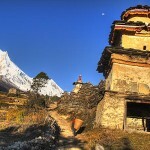 This Manaslu trekking route, located in central Nepal, is a 177 kilometre trekking route starting at a low altitude of 375 metres to reach a final height of 5,300 metres. 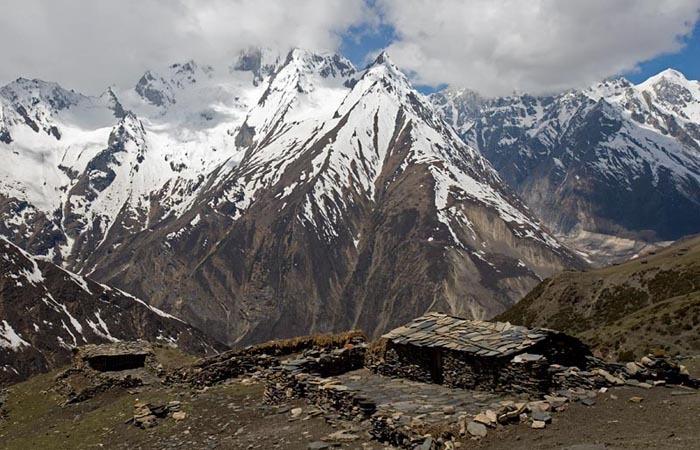 Because of this, the hiker is given the pleasure to sample various form of terrains existing for an ardent trekker. There is a diversity in flora and fauna. 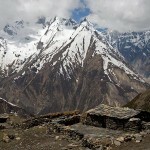 The same can be said for the cultural and religious side of the trek. As one changes terrain so do the animals and plant species. These is also a change in the ethnicity as one would find people following the Hinduism, more in the lower terrain and Buddhism in the higher ones. In this trek, one passes through subtropical forest to alpine ones and to finally cold deserted conditions of the high Himalayan mountains. 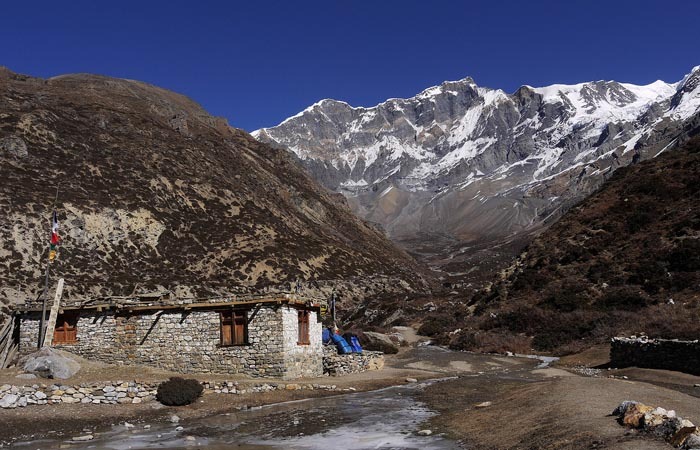 Since, this route is of fragile ecosystem, a Nepalese Liaison officer would be a part of the hike to vouch that no litter is left behind in the area and all provision are to be carried along the trek. 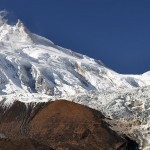 But, this should not be an impediment, as the eventual reward of the trek would be the panoramic and scintillating view of Mount Manaslu and other peaks. 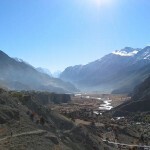 The trek takes you along and above river trails, forests, through gorges, and around glaciers and mountains. The trek begins from Trisuli after getting there from Kathmandu by bus. 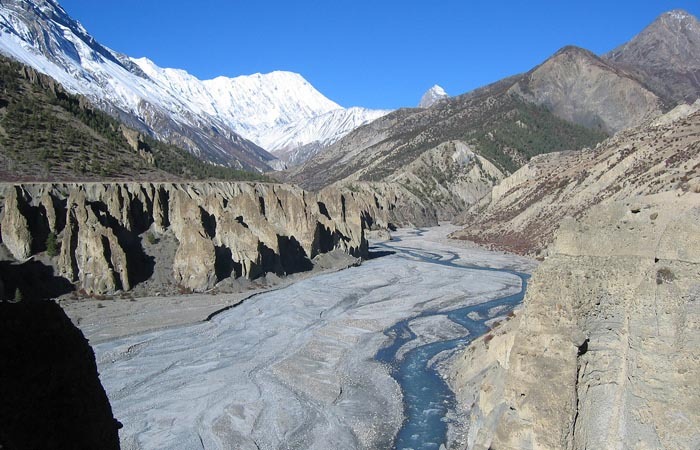 From here, your hike is along the River Trishuli (meaning trident in Nepali) to Baran Gurun. The next stop for the night is Charan Pahadi. Then it is onto Arughat Bazaar, a tranquil town surrounded by verdure hills on all four sides. From here it is onto Soti and Machha Khola for the next two days. 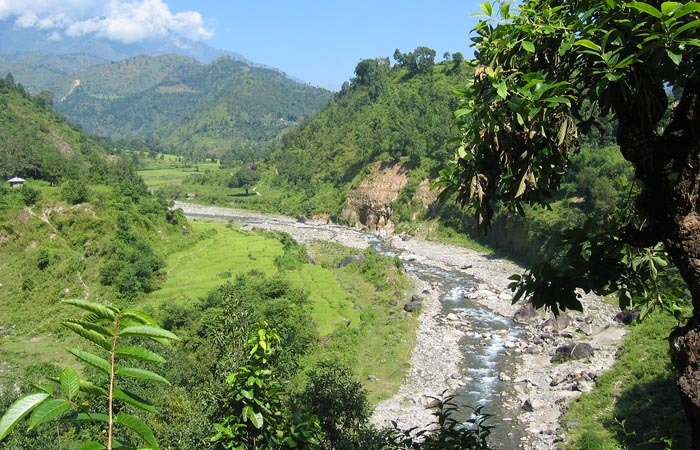 Khola means stream in the local language and Machha, fish. This means only one thing – plenty of freshwater fish to eat on the way. Then it is Jagat, a village development committee. After which, it is Pangsing, and then Deng, Ghap, and Lo. 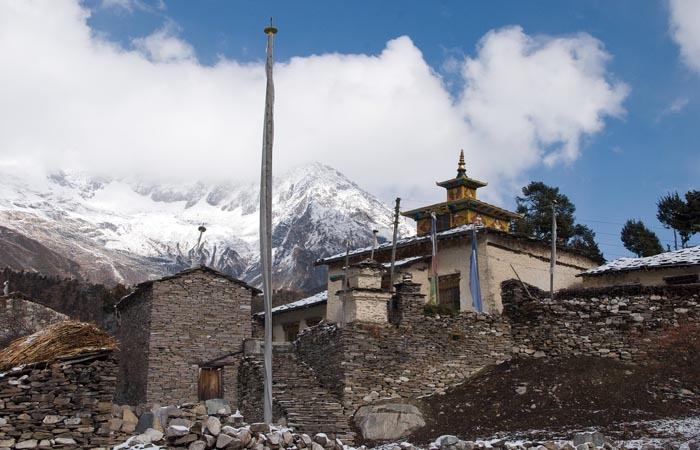 From Lo, it is onto Sama Gompa where you get the taste of Buddhist culture and tradition local inhabitants. Then we hit Guest House and rest and acclimatize to the high altitude at 4450 metres. 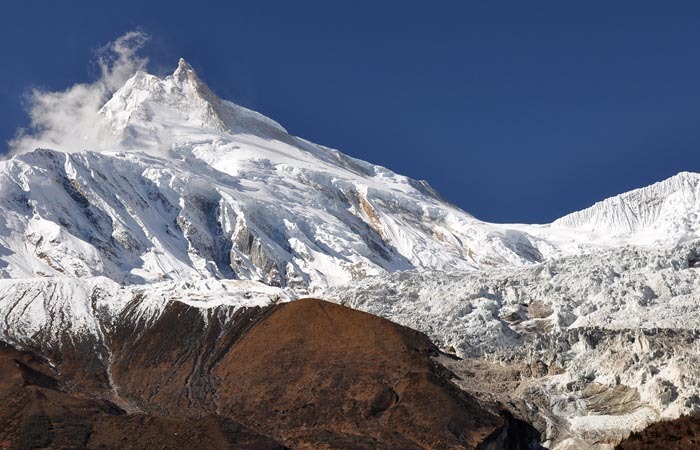 It is here the view of Manaslu is strong, we stop at Tanbuche, Karche, Tal meaning pond, and back at Jagat. From Jagat, it is Khudi and Bhote in order for our bus ride back to Kathmandu. It is an early morning start with a bus drive to Sotikhola and to get the pleasure of the Nepalese’s country side. It is a paved road to Dhading Besi (1050m) and then a rough one till Arughat and on a further drive we will get to Sotikhola. O/N stay at lodge. 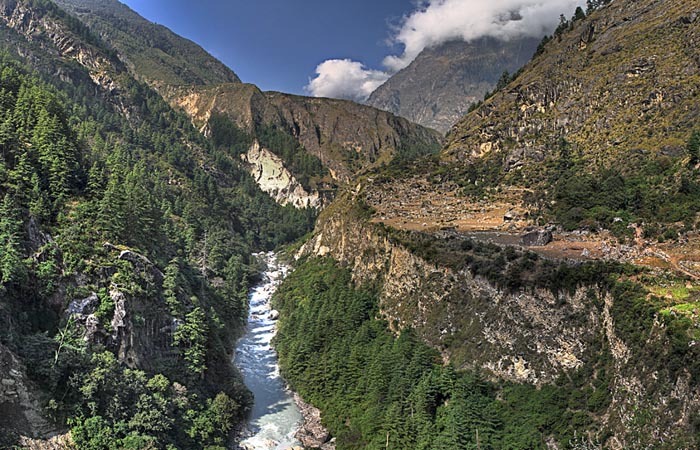 The day’s trek begins through a sal forest which then climbs on to a ridge high above the Budhi Gandaki River. After passing Khursane the trail becomes rocky with frequents descends and ascends and past two tropical waterfalls. Then through few terraced rice fields, we get to the Gurung village of Labubsesi. Climbing further down the valley opens up where the Budhi Gandaki becomes more gravel and sandy. 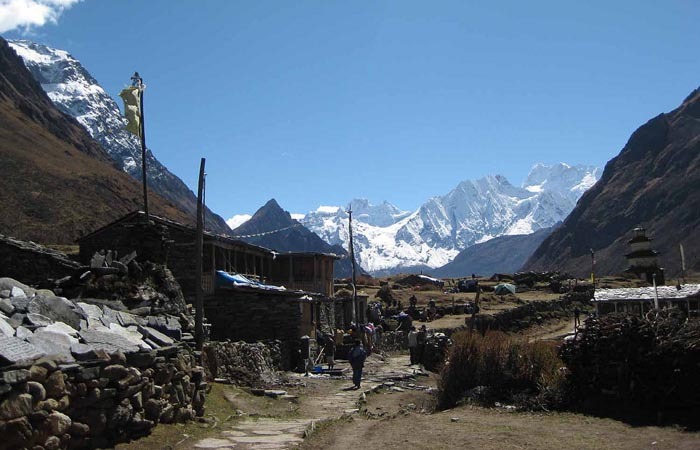 Trekking along the banks and overhead ridges we finally reach the village of Maccha Khola. O/N stay at lodge. 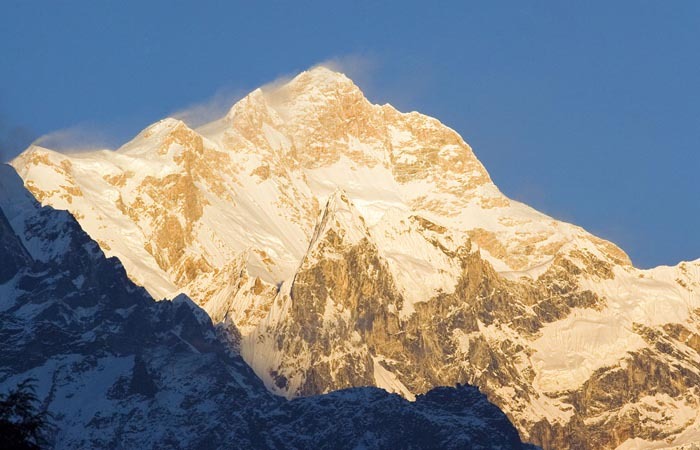 The day’s trek makes some identical ascends and descends before crossing Tharo Khola and reaching Khorlabesi. After a couple of hours it is the hot spring at Tatopani. Then climbing over the ridge is a suspension bridge over Budhi Gandaki. Here we begin to ascend a well paved stone path, landslide and ridges to Dobhan. The stone paved path continues to Tharo Bharyang. Over a ridge again and trekking along the river we eventually climb to the village of Jagat. O/N stay at lodge. Today’s trek takes us over a rocky ridge to Salleri with a descend to Sirdibas. On getting to Ghatta Khola, the valley turns a little more wider. Crossing a suspension we get to the Gurung Village of Philim. At this junction the trek turns north over a fairly level trail through fields of millets to Ekle Bhatti. Here the trek enters a steep uninhabited gorge descending to Budhi Gandaki where we trek along the eastern bank for some time. Crossing some bamboo groves to Deng Khola we finally get to Deng for an O/N stay at a lodge. Crossing Budhi Gandaki, the trek climbs to Rana (1910m) from where we climb a bit to join the trail from Bhi that heads west up to Budhi Gandaki then the trail passes though a forest to Ghap. 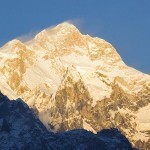 Then the treks takes us to Prok giving us a wonderful sight of Siring Himal. 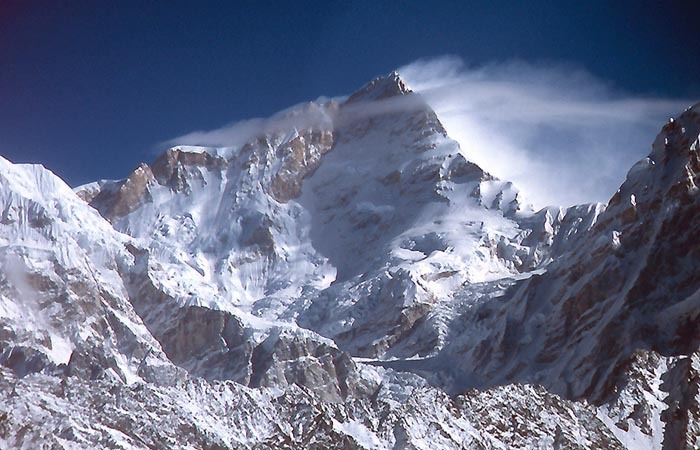 We cross Budhi Gandaki a couple of times and forests and then a final climb to reach Namrung. 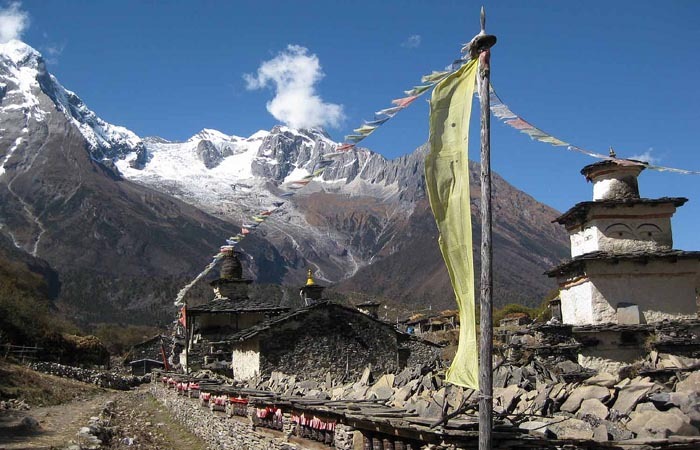 Initially, it is a steep climb to Lihi and then a drop across the side of the valley giving us good views of Simnang and Ganesh Himals to sho, Lho and Shyala Villages. From we get to Samagaon on the way getting views of Himal Chuli and Peak 29. 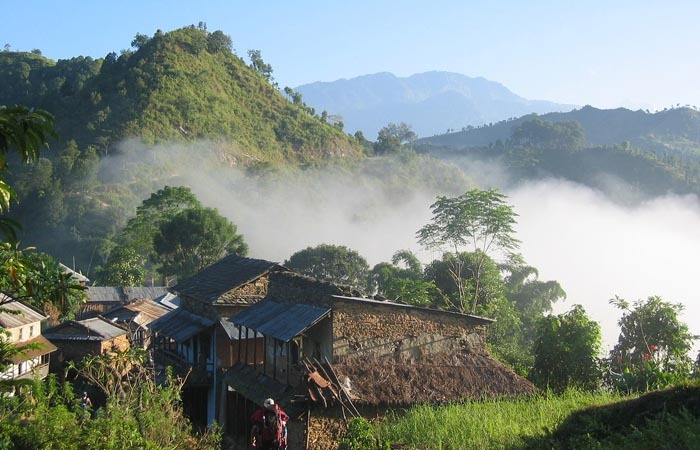 Since we have enter an altitude of more than 3000m, we need to get used to the density of air, so we stay a day in Samagaon, but not without some activity. 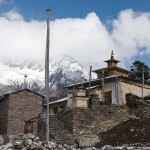 We can enjoy the hundreds of mani stones and visit Sama village where a old Gompa (pungyen) is. 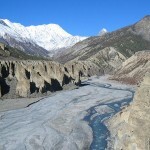 Today’s trek takes us down to Budhi Gandaki River, and then turns north along the stream. 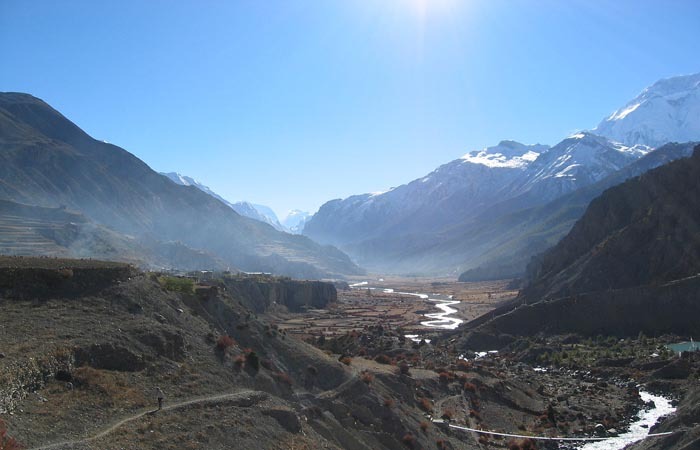 The Larkya La path passes many mani walls and the valley begins to widen. The trail then becomes easy on a shelf above the river passing juniper and birch forest of Kermo Kharka. 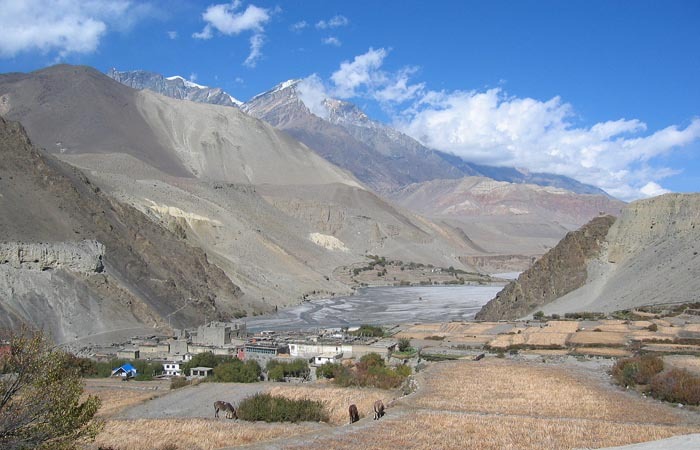 We then cross the Budhi Gandaki and steeply climb. Finally Passing Kani, we get to Samdo. O/N stay at lodge. Again we need to set a day aside to acclimatize. 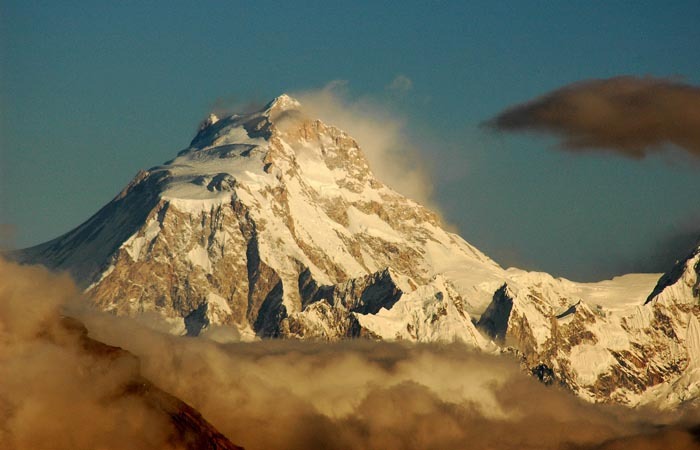 We can take short hikes to view the trade passes and Mount Manaslu on the Tibetan side, plus other Himalayan mountains such as Simrang, Hiunchuli, Ngadi, Larkye Peak, Cheo and Kang Guru. We can also mingle with seasonal herds and spot birds like Lophophorus. Today, we trek through the valley on the northern side of Larkya glacier getting good views of Cho Danda and Larkya Peaks. Eventually walking across the moraines of the glacier, and making short ascends which become steeper; we get to the pass called Larkya Pass (5160m). 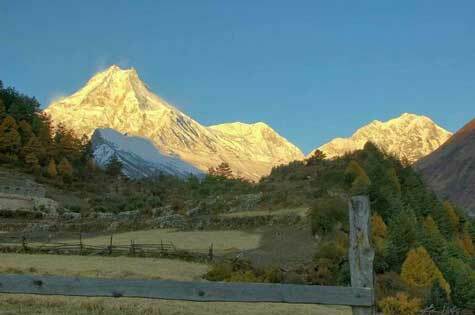 Here we get scintillating views of Himlung Hima, Cheo Himal, Kangguru and the massive Annapurna II mountain peaks. 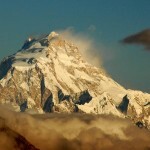 Then we slowly begin to descend to Bimtang with the view Mount Manaslu in the evening. 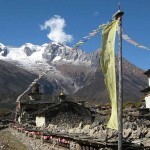 We begin the day’s trek by getting wonderful sights of the mountain peaks mentioned in the previous day’s itinerary. We descend and cross a pasture at Sangure Kharka followed by a bridge over Dhud Khola (stream). Thereafter, we walk through rhododendron forest and follow a path into a narrow valley. After crossing fields and making a steep climb over a ridge, circumventing a fast flowing river, we get to Gho and then to Tilije. O/N stay at lodge. Climbing over a small ridge and stone pave trail, the day’s trek begins. 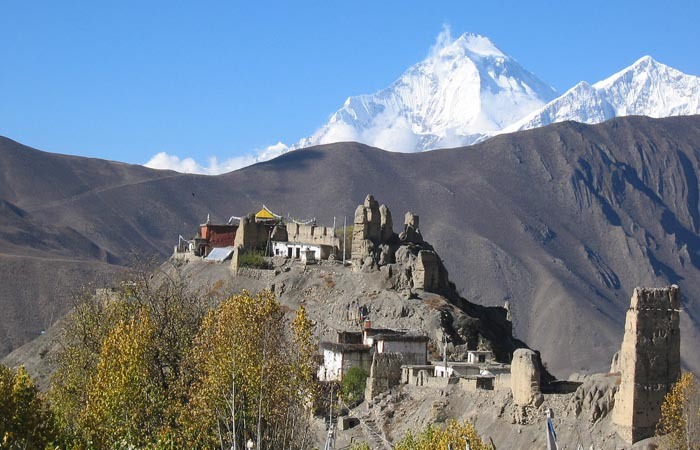 Then crossing Dudh Khola and a climb up through a chorten shaped arch, mani walls, we get to the village of Thonje. 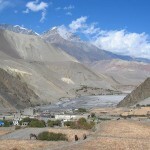 Here we enter the Annapurna circuit trek section. Further away is the Village Karte. 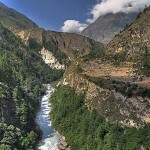 A bit of walking takes us over Marshyangdi Khola (stream) and finally to our nights stay at Tal. O/N stay at lodge. 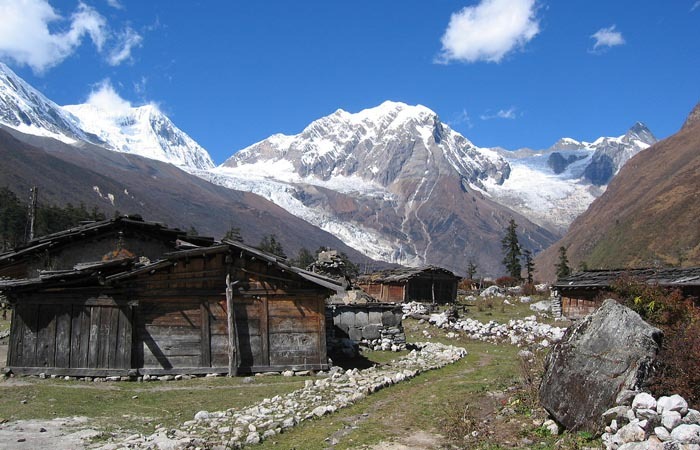 Today’s trek takes us to the village of Chyamje after crossing the Marshyangdi Khola. After this the Marsyangdi Valley opens up to terraced fields. The trail then descends via rhododendron and pine woods and we finally get to our destination at Syange. O/N stay at lodge. Today we head back to Kathmandu by bus via Besi Sahar which gives us an opportunity to sample the flora and fauna and the rural life style at quick glances. We are escorted to our hotel to freshen up and to get ready for the next day’s flight back home. 17. Day Seventeen – Farewell from Kathmandu.